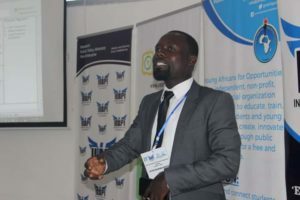 Executive Director for policy think tank, Institute for Liberty and Policy Innovation (ILAPI), Peter Bismark Kwofie, has expressed worry over the decision by government to employ the services of some 254 coordinators for the Nation Builders Corps (NABCO), an idea he described as waste of resources. He is alleging that these coordinators are receiving salaries between GHc 1,000 – GHc 1,500 monthly. In making an analogy of the salaries received by these coordinators, he said: “Assuming each is paid GH1000 per month, and for the 5 months these 254 NABCO coordinators at the various Districts have received GH1,270000 (GH 1.27 Million). He continued: “This implies in each month, Government spends GH254,000 on only coordinators who are party stalwarts. The ILAPI boss in February predicted the collapse of NABCO by end of 2019 due to the financial crisis it is currently facing. The policy he noted did not start on a strong foundation and due to that it has struggled to survive. He was emphatic that the policy will surely collapse by end of 2019. Meanwhile, a group calling itself the Coalition of NABCo [Nation Builders Corps] trainees, says thousands of its members across the country will throng the Obra Spot in Accra on Friday, April 12 to protest over their unpaid allowances. The trainees told Rainbow Radio they have been compelled to protest over undue delays in the payment of their allowances.